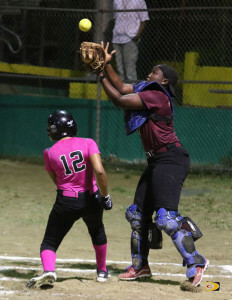 The West End Warriors, who led for several periods of the game, contributed to their demise by committing 15 costly errors in the highest scoring game in the Virgin Islands Baseball Softball Association Harriette Skelton League so far this season, when Walk Off outslugged them for a 31-29 triumph. 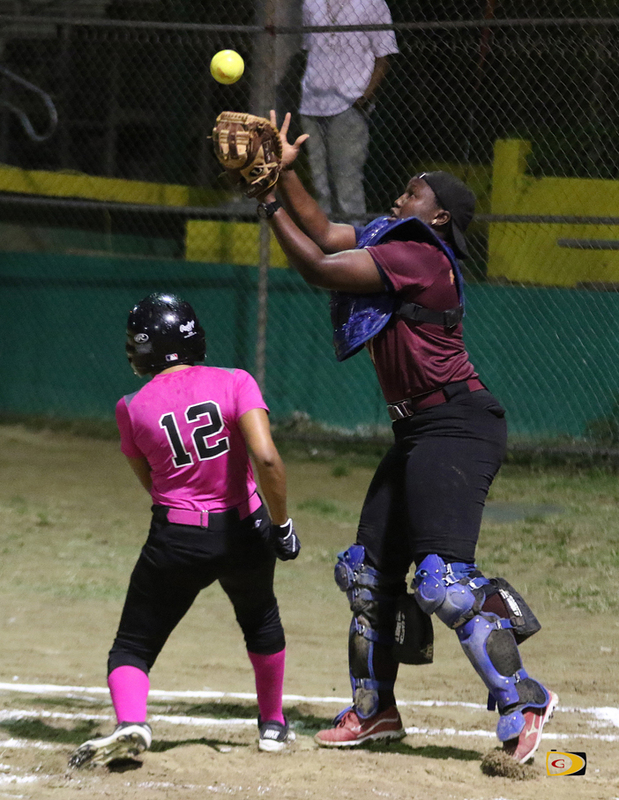 The game was played on Saturday night at the E. Walwyn Brewley Softball Park. Sarah Potter-Washington, was tagged with the loss. Walk Off’s Bria Smith was the winning pitcher. Makeda Fahie of Walk Off went 4-for-7 with a double, four runs scored and a run batted in. Smith helped her cause by going 3-for-7, including a triple, six runs scored and she drove in two. Claury Scatliffe doubled and homered in five at bats, scored three times and finished with 3 RBI’s. Darier Malone was 2-for-6, with a home run, four runs scored and 5 RBI’s. Sharia Romney of the West End Warriors, went 3-for-6. She had two doubles, scored three times and drove in five. Kaynesha Stoutt scored seven runs and Kimesha Adams scored six. In the other women’s game, the Lady Pirates trimmed the Hawks 21-17. The winning pitcher was Perline Scatliffe-Leonard and the Celine Thomas took the loss. Lady Pirates’ Khiayah Doward was the game’s top hitter, going 3-for-5. She also had four runs batted in. In Men;s play, the Mobsters tamed the Pirates, 10-7. The winning pitcher was Jason “Mad” Fonseca and the loser was Ralston “Grandfather” Henry. Alfonso Tejada of the Mobsters, went 2-for-4 and scored twice. Power Outage used homers from Jamarlie James, Sheldon John, Jeremy Penn and Yervis Rodriguez, in defeating the A’s, 12-10.The winning pitcher was Dariel Robinson and the loser was Reynold Corum.